October’s Premier League Player of the Month award went to the top scorer for the month: Arsenal’s Pierre-Emerick Aubameyang. The Gabon international beat fellow forwards Callum Wilson and Anthony Martial to the award, with Brighton goalkeeper Mat Ryan, Fernandinho and a revitalised Ross Barkley also in the running. In a reduced Premier League schedule sandwiched around another international break, Aubameyang’s five goals in three appearances accounted for 50 per cent of Arsenal’s total league goals for the month despite him starting two of those three games on the substitutes’ bench. 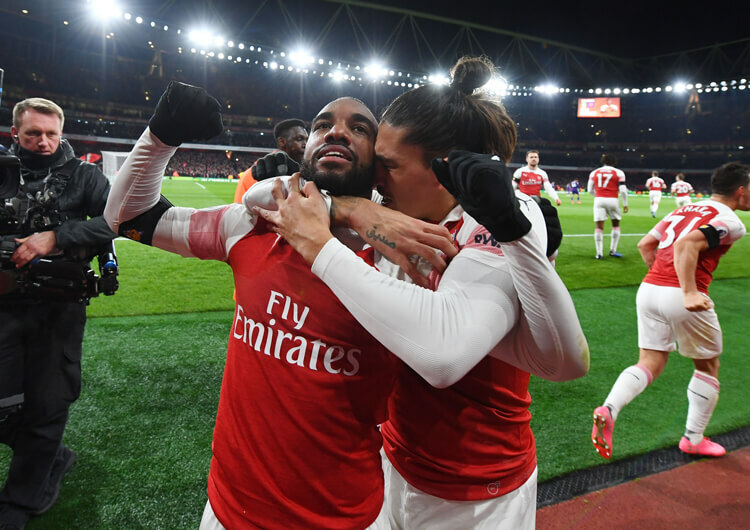 The 29-year-old’s impact in the final third earned his side an extra three points from the month, and took his tally for Arsenal to 17 league goals in 25 appearances since joining in January. He is the first Arsenal player to be named Player of the Month since Olivier Giroud in March 2015. Aubameyang’s 10 league goals in 13 games under previous manager Arsene Wenger came mostly as a lone striker in a 4-3-3 formation. With new head coach Unai Emery preferring a 4-2-3-1 structure, the forward has been utilised more often from a starting position on the left (above) – his seven goals in 12 games represents only a slight decrease in his goal return, however. With away trips to Bournemouth and Manchester United either side of a north London derby coming up, the Arsenal fans will be hoping Aubameyang’s golden touch continues through November and into the festive period. Aubameyang boasts incredible pace, which doesn’t always translate when the ball is at his feet. His preference for making direct runs in behind defences suits the likes of Mesut Ozil and Granit Xhaka, who both look to him regularly. Ozil’s passes tend to be cuter – often balls around the corner or disguised flicks away from pressure – whereas Xhaka’s are more direct, usually driven clips over the opposing back line from a diagonal position. Aubameyang has the flexibility and pace to latch on to any of the above, but he also has a genuine poacher’s instinct – four of his five October goals came from within the six-yard box. The timing of Aubameyang’s runs into the box from the left have added to Arsenal’s right-sided attacks this season. With opposing defenders naturally facing the ball (above), his blindside movements make him very difficult to track. 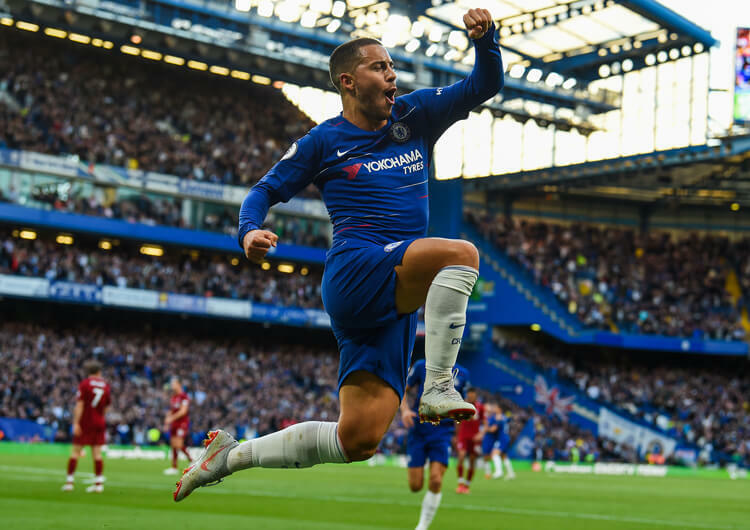 It’s no surprise that four of his five goals in October came from right-sided build-ups, with both strikes against Leicester showcasing his well-timed runs. When in a more central role and with his back to goal, Aubameyang’s link-up play isn’t consistent enough to warrant a regular lone striking role – particularly in an aggressive league such as the Premier League. When he has his back to goal within the penalty area, however, he is a completely different proposition. The opportunity to turn and shoot rather than needing to link play seemingly helps him, as was evident with his first in the 5-1 win at Fulham (below) – he pins the defender, spins on to his left side and buries a shot low into the far corner. One important factor in Aubameyang’s recent goal success is his relationships with the likes of Aaron Ramsey – a reported target for Bayern Munich – and Alexandre Lacazette. When used as a central striker, Aubameyang needs additional supporting runners and movements to help draw defenders away. Central runs from Ramsey create more isolated space for Aubameyang to then attack his man one against one. With Ramsey often making these runs from right to left, opposing defenders can get drawn to Arsenal’s left side – which in turn makes more space for the likes of Hector Bellerin to attack from right-back (below). From here, Aubameyang benefits as he continues to attack in behind, particularly using Bellerin’s low crosses – the Spanish full-back is tied with Ramsey for most Premier League assists for Arsenal (four) this season. Aubameyang’s occupation of the left side is most effective when Alexandre Lacazette – who is more adept at dealing with Premier League defenders – occupies the central striking role. With Aubameyang taking up a wide starting position, opposing right-backs are left with a dilemma when Lacazette drops into the inside left channel (below), as he likes to do. Do they move inside to cover their centre-back, who follows Lacazette, or do they stay out wide to track Aubameyang? 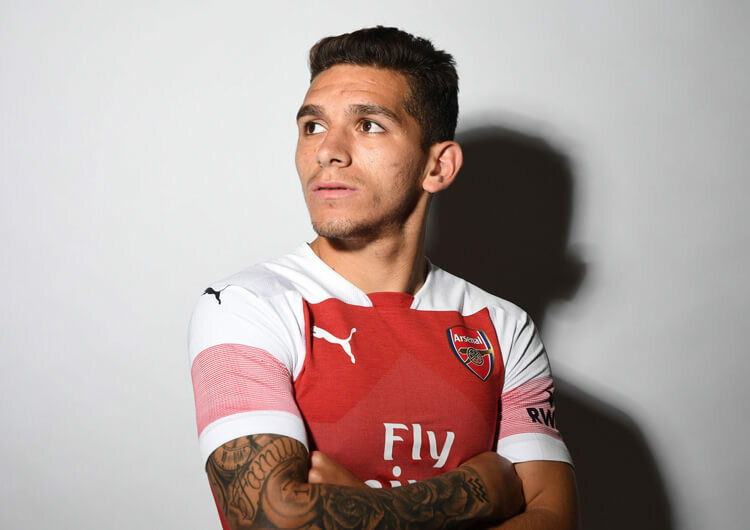 Either way, there are gaps into which the lightning-quick attacker can run – and the extra emphasis teams need to put on defending Arsenal’s left-sided attacks creates yet more space for Bellerin on the right. Arsenal are currently one of only two Premier League teams – along with Cardiff City – not to lead at half-time in a single league game this season. With Emery trying to establish a new style at a new club, mixed performances are without question understandable. But the strength with which his side appears to finish games – and the impact Aubameyang can obviously have, not least in partnership with key teammates such as Ozil and Lacazette – bodes well as the season goes deeper.